Wouldn’t that be a separate case to decide on? There’s no doubt the domain Tang.com was stolen, but even if the “tang” term can be associated with the drink, it exists as a separate asset that could be – if desired – be challenged via the UDRP process, initiated by the drink maker. What is the issue with the sole purpose of the domain’s existence being PPC monetization? It’s a perfectly legal function, as many UDRP decisions have declared. I think the issue here is that the stolen domain ACPA cases have always been an “ends justifies the means” sort of thing. They aren’t really cases that rise up to the point that the thief is cybersquatting. It’s just a convenient way to right a wrong. 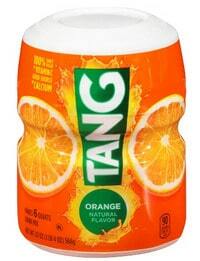 But in this case Tang was a trigger. The judge is asking–does the plaintiff really have a trademark for “tang”? Then she looked closer and asked what ad for NNN would have been. Had Tang.com not been in there, it’s possible this case would have gone through. And, @acro, I hit submit too soon. Are you saying that the court should unconditionally believe whomever walks in the door and says, “I have a trademark, give me a domain name” and give them the domain name? Granted, in the exigency of the moment, returning a stolen domain name to the victim of the thief is an end result we all agree on. But this is not a “someone stole my domain name” suit, it is a “someone is violating my trademark suit”, because the ACPA provides a somewhat convenient vehicle for getting courts to order transfer of domain names. This mechanism was also used in the relative recent set of cases that are the last gasp of Jeff Baron’s claim that he is entitled to unwind domain name sales which were made by the receiver when his company was in receivership. Having lost every case on that point in Texas, a new company with a convicted crack dealer as the CEO was formed in order to, among other things, file an in rem ACPA suit in Virginia and make exactly this sort of claim. He obtained an initial default judgment which was subsequently put aside when some of the domain name registrants showed up to point out that they bought the names from the receiver. No one believes that a victim of a domain name theft shouldn’t get their names back, but it looks as if the EDVA is getting wise to the use of that court in particular to show up, say anything, and get some domain names. In many instances that is a waste of time and effort. If you apply to register “dogfood.com” as a trademark for “promoting the goods and services of others”, then I can pretty much guarantee you that in the first office action, the USPTO is going to inquire as to whether those goods and services of others includes dog food. They are going to ask that question for a reason. Correct. There’s no point in applying to register most generic domains, such as dogfood .com. I own US Registration Number 5086046 for SESAME SNAPS and design. @acro the question is not whether the domain registrant is or was doing something legal. This is an ACPA suit. The plaintiff must establish that they had a trademark right in what they were doing. There is an infinite number of things you can do which are “legal”. That doesn’t mean you accrue trademark rights for doing them. Here, the plaintiff has claimed to have trademark rights in TANG or TANG.COM, which happens to be a fairly well-known mark. Sure, it is also the non-business end of a knifeblade among some other dictionary meanings. But if you walk into a court saying, “I have trademark rights in TANG”, then the court is – quite predictably and understandably – going to say, “Oh, really?” Because unless you are helping out thirsty astronauts, or running a clan named Wu, then I think the court would want to know a little bit more about your factual basis for claiming to have a trademark. And what stops common law trademarks – even it they exist for the provision of PPC services – co-exist with other marks that are registered, or even famous? There are plenty of APPLE marks, for example, along with that of the famous maker of overpriced phones and computers. As long as the plaintiff can provide evidence of holding such marks, the existence of other, similar marks should not lead to a refusal of returning the domain. Common law trademarks are not presumed to exist in descriptive marks such as Tang. You need to put forth evidence to prove secondary meaning. Secondary meaning arises when consumers have come to identify a trademark with a certain product over time. When this happens, a descriptive mark that a business would not have been able to register initially may achieve trademark status. A descriptive mark may be subject to registration at some time in the future after sufficient use has been made to prove secondary meaning under trademark law. And judges and UDRP panelists view common law trademarks suspiciously when they co-exist with identical famous registered trademarks. Maybe Yosiki Okada would have better luck before an Ontario court or some other court with jurisdiction and in a jurisdiction where domains are considered personal property and an action for replevin can be made.